It's dessert time for me.. Yeah, I made jalebi and it was really very yummy. This is one of the most favourite street foods apart from chaat items. It really brings back my chennai hostel days, cos, there we used to have a roadside shop where they make this everyday. But I never had the chance to eat this once since my parents strictly warned me not to eat from roadside shops. And I am always amazed at their perfection of making jalebi's within a fraction of time.. I's never happy those days cos I've always felt homesick.. In a mixing bowl combine all purpose flour,corn flour, yeast, salt,sugar, yoghurt and oil with warm water and mix well, without any lumps. Cover the bowl with a cling film and keep the contents in a warm place for 30 mts, else preheat the microwave to 1 minute and keep the bowl inside the microwave for 30 minutes. By the time, the batter would be doubled. Prepare the syrup by mixing the sugar with water and stir till it dissolves. Just bring the sryup to a boil and turn the heat to the lowest available setting in ur stove. U may check the temperature of the syrup with a candy thermometer also, range is 200 F /95 C . Add the cardamom powder, saffron strands, lemon juice to the syrup while simmering and mix well. Heat the oil until it's hot ,not smoking hot though . In the meantime, transfer the batter into a piping bag / ziplog bag with a hole in the center / ketchup bottle and make it ready. Squeeze the batter into the hot oil in circles and fry them both sides till they get completely cooked. Drain the jalebi's and dunk the jalebi's in syrup for a minute and transfer to a plate. Repeat the same process for the remaining batter and serve warm with rabdi / eat as such..
Sending this to BOOKMARKED EVENT happening @ Priya n Aipi's space. Sending this to MMK -Indian mithai mela also. hey shanavi good one and congrats on winning MLLA giveaway ! thats a perfect platter...cant believe they are homemade....looks perfect and oh so tempting!!! Jalebi's look perfect and colorful. wow jelabi is really tempting,it comes out perfect. absolutely very tempting sweet..looks perfect!! OMG. Delicious. I eat them just because they have the attractive colour. tempting jalebis..never tried with yeast though! Superb color.. so neatly done.. I thot this was gonna be from urad dhal.. Recipe sounds great dear,will surely give this a try. Gorgeous, perfectly made, crispy, juicy, droolworthy jilebis!!! Jalabi looks perfect and delicious. I love it. 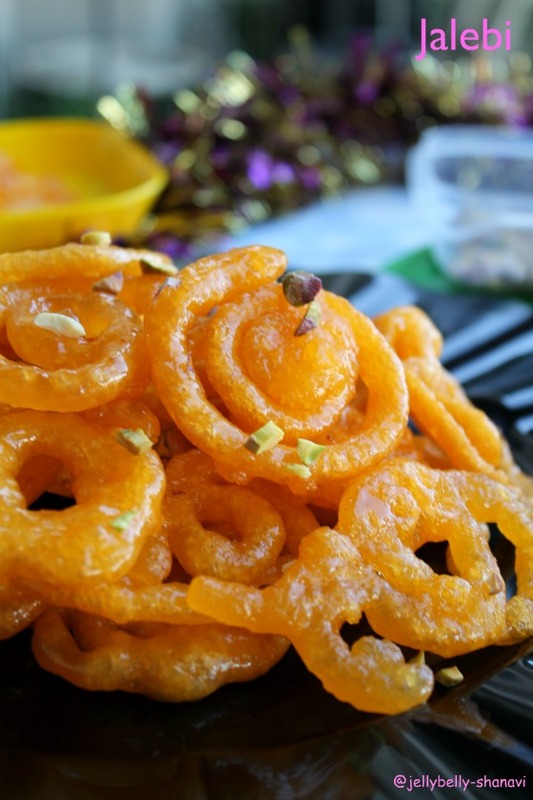 sinful jalebis and awesome clicks too..
i love this small jilabis very much...looks perfect n tempting to eat!! Looks awesome dear ! and thanks for linking it to the event ! 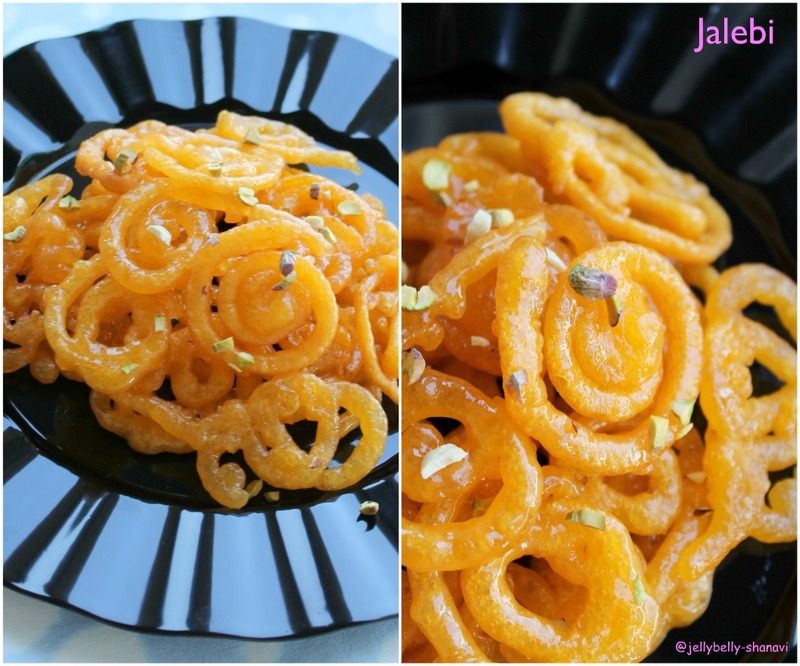 Thank you so much Shanavi for these delicious jalebis in bookmarked recipes. Please do look through new rules, we changed them a bit. From now on, if you are using a bookmarked recipe, you should only link it to the appropriate recipe page and only list the changes you made to the recipe instead of writing the whole recipe. Please make appropriate changes to your post with respect to these rules. I have tried making jalebi once and it was sucha disaster!! 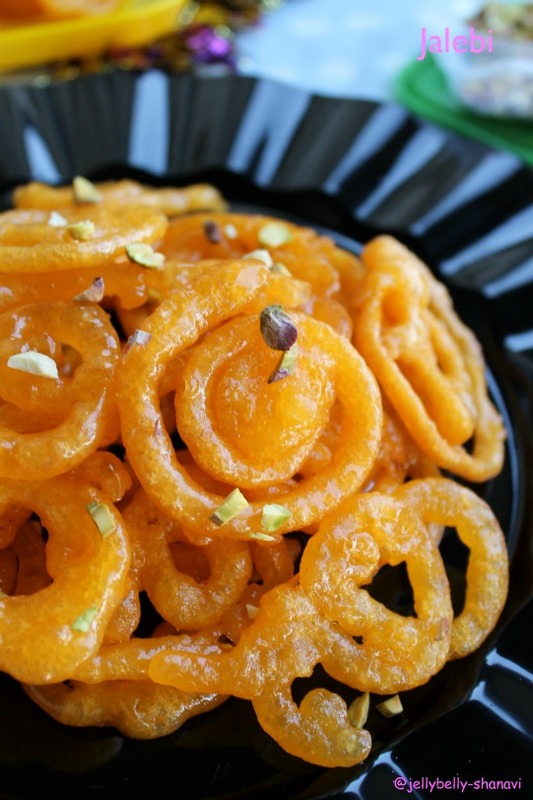 your jalebis look soo perfect and delicious! Jalebi looks awesome! Never made this before,but sure will have to try for this diwali!